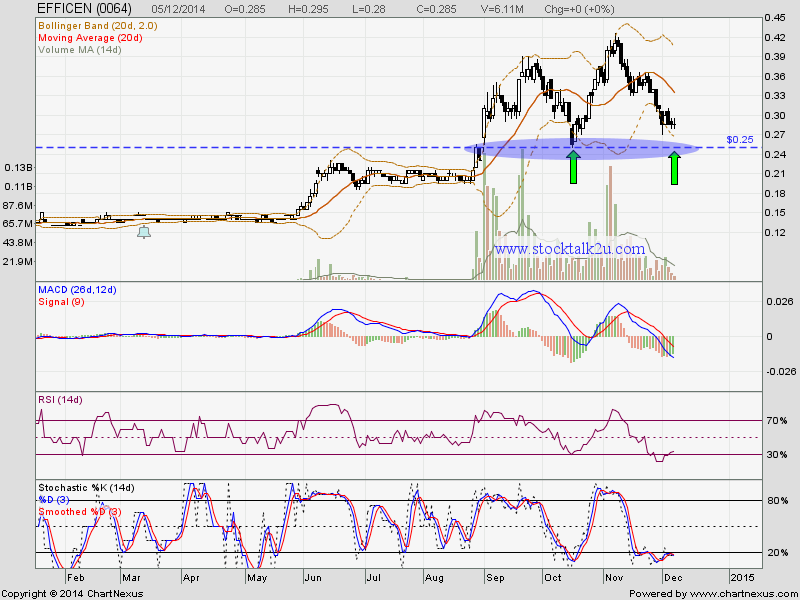 Will it retrace down to RM0.25 support level? Immediate support @ RM0.25 level. Subsequent suport @ RM0.225 level. Immediate resistance @ RM0.295 level, which is MA100. Subsequent resistance @ RM0.33 level, which is MA20 / MA50.